Combining Old World charm with modern function and design, We offer only the finest in handmade products for both the exterior and interior decor of your home such as copper range hoods & copper table. Our designs are sure to enhance the architectural beauty of any home and with a price point that provides excellent value than any where else. We promise nothing short of exceptional craftsmanship, quality and service as we combine the function, style and uniqueness of our copper range hoods into what is truly a work of art. 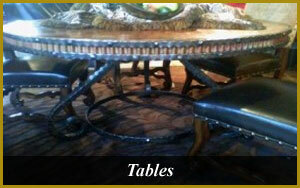 Allow us to bring into your home the timeless elegance with our best designs. 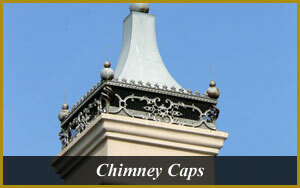 Some of our featured products as copper range hoods, copper tables, chimney caps and finials are given below. 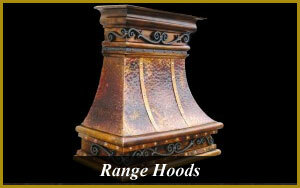 Check out our latest designs and specifications for copper range hoods and many more products. You can visit our blog to know more about Copper Range Hoods and Table. Each copper range hood is completely handcrafted by Master Craftsmen here in Texas using coppers mined, refined and milled in Mexico and Chile. All these Master Craftsmen of copper range hoods are known for their best works and designs related to copper range hoods from years in Texas. They have gained this mastery by designing copper range hoods from years. We have many other world class products apart from copper range hoods and copper table. To know more about all our products other than copper range hoods & table please go through the different categories. 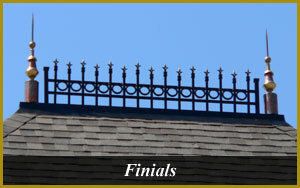 As you will go through our website, you can see our featured Copper Range Hoods, Tables, Chimney Caps, Finials and many more products. We guarantee 100% that all our products are free of defects. We are having return policy also for in-stock products. We are dedicated to give you high quality products to exceed you expectation. At last we would like to assure you that our range hoods are the best range hoods you can ever come across to beautify your kitchen. You will get high quality copper range hoods to enhance the durability of product. We are serving society by providing high quality range hoods and tables from decades. We promise our customers that they will never feel cheated by using our range hoods & other products, these are all high quality range hoods and tables prepared by best craftsmen in the industry. You can use our copper range hoods and table without any hesitation and if you have any doubt can call us right away to know more about our copper range hoods and other products. We are always eager to serve you with our best quality copper range hoods and tables. Once again we will like to thank you for taking time to consider us for your requirements related to our range hoods and other exterior or interior products. 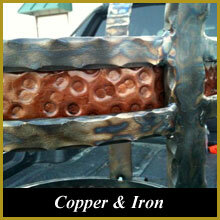 Looking forward to hear from you for copper range hoods and other products to beautify your kitchen and home. Please let us know your feedback if you have any to improve our service by visiting our contact us page. We will be glad to hear from you for any suggestion.